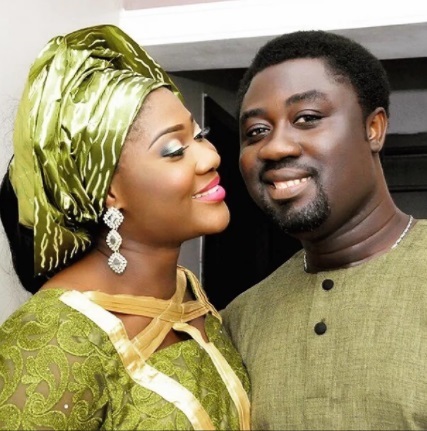 Nollywood Actress, Mercy Johnson's Husband Joins APC from PDP, Says "God Bless Buhari"
Popular Nollywood actress, Mercy Johnson's husband, Prince Odianosen Okojie, has joined the All Progressives Congress (APC) from the Peoples Democratic Party (PDP) with several of his supporters who defected on Monday at Uromi, Esan north-east local government area of Edo state. At the event where the defection took place, the young politician said: “I was a member of the PDP. I joined politics to deliver and develop people in the locality. The PDP is now a sinking ship and I am not the captain of that ship. I had to run away from the sinking ship because of what Governor Obaseki is doing. “Obaseki has a good vision for the state. He has rolled out his development plans and by the time he finishes, Edo State will be something else and I want to be part of that team. On his part, his father, Chief Okojie, assured APC supporters and leaders that elections in Ward 5 would now be a walk over for the APC. Presenting the broom, which is the symbol of APC to the defectors, Prince Joe Okojie, assured them of equal treatment, saying “there are no new comers to the APC”. “All work and no play makes Jack a dull boy” keep flexing guys…una mama born una well. my love @mercyjohnsonokojie your husband officially joined @apcnig Yesterday. God bless @muhammadubuhari. God bless Nigeria,” she wrote.